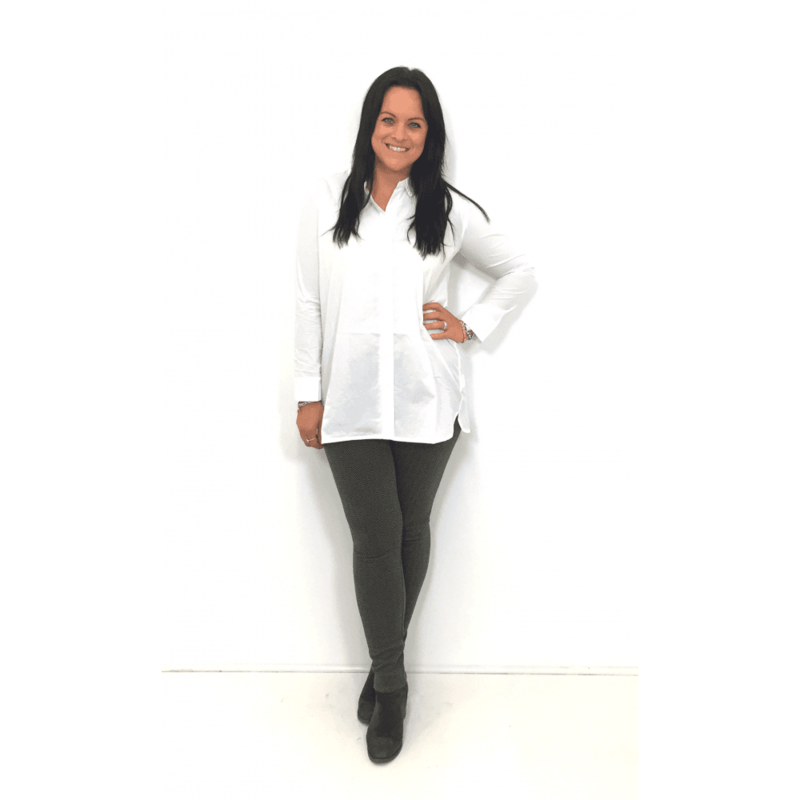 The relaxed shape and long sleeves ensure that this oversized blouse is kept casual. The white colour will go with anything, whilst the shaped hemline and long-length are super flattering. This blouse is sure to be a wardrobe staple. It look perfect over slim leg jeans.